Writing is hard. Writing under time pressure is harder! While it is impossible to know what prompt you will be given when you sit down to write your ACT Essay, it is possible to prepare ahead of time so you will be able to use that very brief 40 minutes wisely. 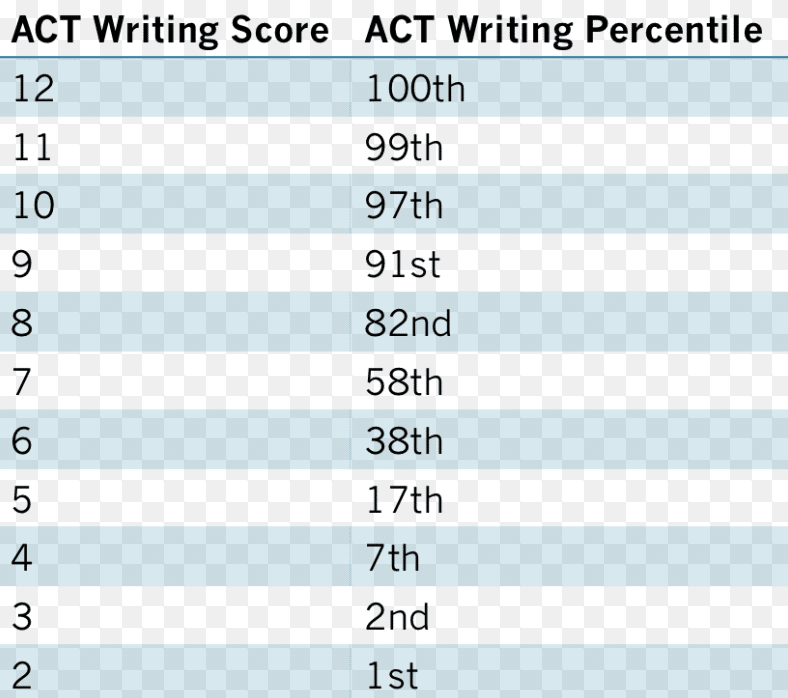 In 2015, the ACT Essay changed completely. Whereas previous to 2015, you were asked to take a personal position on a general question such as your view of what makes a hero, a hero, the current ACT asks you to analyze multiple perspectives, come to an understanding of these perspectives, and eventually come to a position (a thesis) that expresses your own viewpoint given these various perspectives. Your job is to read and understand the perspectives as quickly as you can and then figure out what you think about them and use this understanding in a personal argument either supporting or qualifying the positions you are given. That’s a tall order in 40 minutes! Take a look at the rubric provided by the ACT itself. Here they outline what they are looking for in a top scoring essay. Scores in this domain reflect the ability to generate productive ideas and engage critically with multiple perspectives on the given issue. Competent writers understand the issue they are invited to address, the purpose for writing, and the audience. They generate ideas that are relevant to the situation. Scores in this domain reflect the ability to discuss ideas, offer rationale, and bolster an argument. Competent writers explain and explore their ideas, discuss implications, and illustrate through examples. They help the reader understand their thinking about the issue. Scores in this domain reflect the ability to organize ideas with clarity and purpose. Organizational choices are integral to effective writing. Competent writers arrange their essay in a way that clearly shows the relationship between ideas, and they guide the reader through their discussion. Scores in this domain reflect the ability to use written language to convey arguments with clarity. Competent writers make use of the conventions of grammar, syntax, word usage, and mechanics. They are also aware of their audience and adjust the style and tone of their writing to communicate effectively. Remember, for the ACT Essay, there will be two readers, each giving you a score from 1-6. Then your scores is added up so that your final scores is how many points you get out of a total of 12. Almost no one gets 6’s/12’s! That would be a perfect score. Possible in Math. Almost impossible in writing. Even an 11 (a 6 and a 5) is nearly impossible because it means one reader gave you perfect score. I have seen it in the course of my career, but very rarely! That doesn’t mean you shouldn’t shoot for the stars! You should. But most excellent students — those who end up going to Harvard, Stanford, Yale, etc — get a 10 or better. What I have described above are the format, the scoring, the rubric for the ACT Essay. These say nothing about how you write it. They describe the product and the assessment of the PRODUCT. How you write the essay is a whole ‘nother story. Now we are dealing with PROCESS. As I describe in my book The Art of the College Essay, there is a huge difference between product and process, although they are often conflated and confused. Product is what you end up with. Process is how you get there. Almost no one every teaches you anything about process. Take the five-paragraph essay you are asked to write for school. Your essay must have an introduction. The introduction must have a thesis and points supporting your thesis. You must have three body paragraphs,each of which will begin with a topic sentence. And then you must have a conclusion which restates in different words the idea of your thesis and perhaps adds an interesting twist or counterpoint at the end. There is nothing in this description that tells you how to do it. Only what you should end up with at the end. I’m sure it does. This is how writing is “taught” in high school. I am convinced that on one tells you how to do it because no one knows themselves! Writing is an art and a craft all rolled into one. And it’s scary! For everyone. 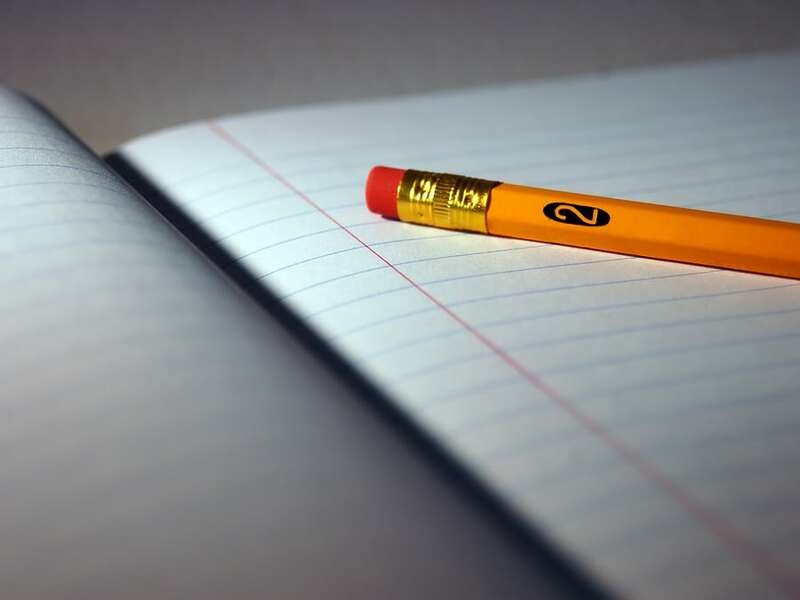 Who doesn’t tremble at the sight of a blank page? I have helped many people along this road in writing their college essays. And I have advised and counseled hundreds of students by now in how to write the ACT Essay. I would love to help you too. Book Now for immediate and expert one-on-one advice. You have put blood, sweat and tears into the last few years. You’ve studied for SAT’s or ACT’s, you’ve done well in your classes, you’ve dotted all your i’s and crossed all your t’s — and then you hurry up and wait! Finally, the moment comes. You open the letter . . . and . . .
All your hard work paid off! This is the experience of almost every one of my students. A lot of people will tell you they get kids into the schools of their dreams. At New Vision Learning, it’s true. Usually our acceptance rates are between 93%-94%. This year we have a 95% acceptance into top choice schools. Expert, personal, targeted, one-on-one help from someone who knows and someone who cares. Finding the right schools for each student. Helping each student find their own voice and express it in the form of the college essay(s). Helping students identify their goals and dreams, and guiding them in how to realize those dreams, one smart step at a time. While we don’t yet know which schools our students will choose to attend, we do know where they’ve been accepted. Here is the list of schools to which New Vision Learning students have been accepted for 2020! MIT, Harvard, Stanford, Cornell, Columbia, Wesleyan, UCLA, UCBerkeley, UC Davis, UCSan Diego, UC Santa Barbara, UC Santa Cruz, Lewis & Clark, Oberlin, Johns Hopkins, NYU, Colgate, Sarah Lawrence, Boston College, Boston University, Emerson, UIUC, RPI, Harvey Mudd, Williams, Amherst, Reed, UW, Michigan, Wisconsin, Madison, Barnard, Colorado College, Tulane, Duke, Emory, GW, Georgetown, American University, UNC Chapel Hill, UT Austin, Texas A & M, Carnegie Mellon, University of Pennsylvania, Tufts, Brown, Otis, Pratt, RISD, Cal Arts, UCSF, Yale, Princeton, New School for Social Research, Fordham, Pomona, Pitzer, Claremont McKenna, Scripps, Arizona State, University of Colorado, Boulder. I am confident I can help pretty much every student who comes to me. To get on the road to success, click here. You eagerly await the returns. Day after day, you check your email. You’ve already gotten into two of your safeties and three of your targets. But the one you’ve been waiting for – your dream school? Will it be a yes or a no? Finally, the message comes in. It’s a maybe, baby! You’ve been waitlisted! What does this mean? It means you weren’t rejected, but you didn’t get in either. It means you have to wait longer, perhaps indefinitely, to find out whether you got in. Only a very, very small percentage of students get in off the waitlist. Getting off the waitlist is as hard, or harder, than getting into an Ivy League. Here you will find statistics on the 10 schools with the highest number of applicants on the waitlist. The statistics here are for 2015. Every year it changes, of course. But you can see from these statistics that your chance of getting off the waitlist are slim at best. 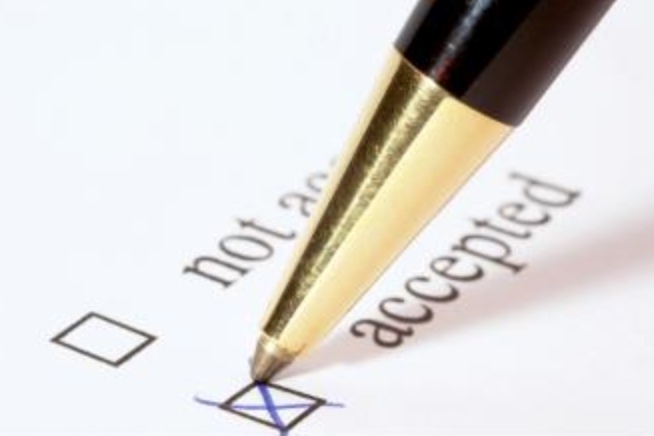 Schools have waitlists for one very simple reason: They’re never sure which candidates to whom they offer acceptances will accept them. It’s impossible to know until all the deposits are in. So creating a waitlist is a back-up plan for the schools themselves. If fewer applicants accept a position than they expect – there will be openings. If more accept than they expected – forget about it! What does that mean for you? It means it’s impossible to predict how many students will get off the waitlist, even for the schools themselves. You weren’t rejected, true, but you weren’t accepted either. Acceptance rates off the waitlist vary school to school and year to year. Not only that, but some schools wait a lonnnng time to tell you whether they’re going to offer you a position or not. Some wait even through the summer which doesn’t seem quite fair. You should also know that some schools have already ranked their wait list and know which students they will offer spots to first. Some years, at schools like Harvard and Yale, virtually no one gets off the waitlist. What does this amount to? I wouldn’t hold my breath! In fact, I would be sure to put down a deposit for your second-choice school, and pretty much count on going there, because the whole waitlist process is UNPREDICTABLE. That said, there are things you can do to improve your chances. 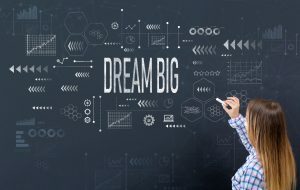 If you’ve still got your heart set on the school(s) to which you were waitlisted, and you can tolerate the wait and the potentially long swim in the waters of the unknown, put yourself on the waitlist – but be prepared to put in some elbow grease to express your interest and to help distinguish yourself as a strong candidate for that school. Here are the 5 most important steps you should take when you’ve been waitlisted. It may seem obvious, but if you want to continue to be considered for the school to which you were waitlisted, you must accept their offer. Say YES to being waitlisted This doesn’t mean you have to go there. It does mean your application will remain in the pool. Just as if you are deferred, you must send a letter of continued interest (LOCI) so the school knows you’re still interested. These letters are extremely important. Think about it. Why would you even consider someone who doesn’t reiterate their interest? They will assume you’ve accepted admission somewhere else unless you write to tell them otherwise. And these letters, like your essays, are very important. They must be sincere; they should express the original reasons you were interested and how this interest has remained and developed; they should include new awards and achievements; they should be short(is) and sweet. Click here for help with your Letter of Continued Interest. There is no better way to get information than from the horse’s mouth. Call the school and find out three things: 1) How many people are on their waitlist; 2) When do they expect to let people on the waitlist know one way or the other; and 3) Is there anything you can do, anything you can send them to help your case. You can even ask them if they’ll consider interviewing you. While it’s good to call the school to get this information – once – I would not call again and again. Make that phone call count! And do what they tell you. If they say you can send more recommendations, do so. If they tell you not to send any more recommendations – don’t! Put a deposit in at the next most desired school on your list to which you’ve been accepted. There are no guarantees you’ll get off the waitlist, so you need to make sure you are seriously considering your options. Make sure you are ready to say “YES” if they finally do accept you. Do your soul-searching ahead of time. Talk it over with your parents and your guidance counselors. You want to be sure that if you say you’re going to go there if accepted, you really are. If you want to review your criteria for choosing a school as a way to solidify or further explore your options, click here for more information on how to choose a college. The most important thing you can do if you’ve been waitlisted at one of your top-choice schools, besides what has already been outlined above, is to accept the fate you’ve been handed and get excited about your second or third choice schools. I believe everything happens for a reason. If you get rejected at Yale, it may be because your future best-friend, business partner, husband or wife is set to attend George Washington in the fall, and you’re supposed to meet them. It’s not always the school with the best reputation at which you would be happiest. It’s the school that is the best vibe/fit for you, the school where you will thrive. If you really feel you must go to that school, you can always apply as a transfer or wait to go to graduate school there. Having been in the business 30+ years, I have really never seen anyone fall off the end of the earth because they didn’t go to their top choice school. College is largely what you make it. You can succeed and thrive anywhere. If you are out and out rejected, by the way, there is always the option of appeal. Some schools allow appeal and some don’t. You’ll have to check in advance. Again, don’t hesitate to call the school to find out if they are willing to accept your appeal and what the parameters are for sending information. They may want an update; they may accept supplementary material; they may want a letter explaining why they should re-consider your application. Our campuses review each applicant’s record thoroughly, and admission decisions are rarely reversed. However, students who are not admitted may request a review of the decision if they believe there was an error in the evaluation or can provide new and compelling information not included in the initial application. Each campus has specific procedures to handle such appeals. Contact the campus admissions office for information. Similarly to being waitlisted, if you decide to take another shot at admission, you must show the admissions committee something new. I would love to take you through the process of appeal. Most students don’t opt to do this. The percent accepted via appeal is exceedingly low. But again, very few students even realize an appeal is possible. Our first step would be to take a look at the application you’ve already sent. We’ll look at your Personal Insight Essays. We’ll analyze what you’ve told them, what has changed, and how we can offer them a new, fresh, and compelling (read: irresistible) view of you. We will make sure the letter of appeal is beautifully worded and packs a punch. Personally, I think it’s worth a shot. At least you’ll know you did everything you could to try to get in. I have helped many students with their appeal letters and I have helped many get off the waitlist. Usually, we only need to meet two or three times to achieve our goals. I’d Love to Be Your Guide. Applying to college is one of the biggest milestones in your life. And choosing the right school(s) for you is super important. This is the moment you take stock of everything you’ve done up till now — all the choices you’ve made, successes and failures — and set your goals for the future. But before you apply, you have to know WHERE to apply! There is an art to making the college list. And it’s very important. You have to have a healthy spread of reaches, targets, and of course, the all-important safeties. You have to make sure you find the right schools for you – not just any schools, or the most prestigious schools, but the colleges that fit you. Although the information in this post is directed towards students trying to figure out where they want to apply, it could equally well be used by students who have already gotten in and want to figure out how to choose a college to attend. Having been in the business of getting kids into their dream schools for the past thirty years, I have had the benefit of seeing students through the entire process. Often I meet students in their freshman and sophomore years when they have NO IDEA what they might want to “be with they grow up” or what criteria one would even consider in choosing which colleges to apply to. They have no idea how to choose a college. They don’t have a clue and why should they? Students need guidance. Not just in making a college list, but in knowing how to even think about making a college list. From my own personal experience, I can tell you that even though both my parents were high school teachers, no one helped me figure out which schools to put on my list. No one even spoke to me about it. A friend was applying to William & Mary. I thought, “Why not? That sounds good.” There was a lot of snow in Vermont. My friend Amanda Ellman had a summer house there. Vermont is beautiful. Why not apply to UVM? I got a letter from Harvard. That seemed like a stretch, but hey, they wrote me first. Finally, completely flummoxed, I ended up going to Allegheny College in Meadville, Pennsylvania. It had one of the highest acceptance rates into med school in the country, believe it or not. And I was a Premed English major. Perfect. There was snow, all right! From October to May. Nothing against Allegheny College, which now appears in the book Colleges That Change Lives, but it was definitely not for me. Too small, too cold, too isolated. Put Meadville on your weather app and you’ll get the picture! I credit Allegheny College with putting fire under my feet (or snow as the case may be) to seek out some place that was the polar (no pun intended) opposite. I had been to California once when I was a teen (that’s a story for another time) and I loved it. I happened upon the hard copy (imagine that?) catalogue for UC Santa Cruz in the college office of my high school over winter break when I went back to visit my mom who taught in the same high school I attended. Flipped through it. Found a major in History of Consciousness, saw the redwoods, the ocean, the radical “no grades” policy – and the rest was history. I got a GREAT undergraduate education there. It was the perfect place for me and opened my eyes to so many new possibilities. Know Thyself! And Know thy colleges! The thing is that picking the right school involves two important pieces of information: You must know yourself and know the colleges that you are applying to. How you get to know the colleges is perhaps easier even than knowing yourself. And I will save that for later. The first step is determining what your criteria are. What is most important to you? Size? Social Life? Selectivity? Take this quiz to rank your criteria in order of preference. It will help you identify to/for yourself which factors you desire and which you can’t live without. Once you have identified what’s important to you in a school, you’ve got to find “matches” for yourself – colleges that fit the bill in the locations you desire. You can do this any number of ways. There are tools out there to compare colleges and to get basic information about each school. You can, for example, go to UNIGO.COM to hear first-hand accounts from the students who are attending that school. You can use College Prowler, now known as Niche.com to see their rankings of the top 100 schools in America. You can use the Fiske guide if you like to hold something in your hands and mark it up. You can go to CollegeBoard.org, click on Big Futures, then on College Search and enter schools that interest you. The benefit of this last tool is that you will also get information about other, similar schools that students applied to. This may even help you generate more options. In the course of a very long career, I have also seen students make mistakes in choosing which schools to attend. It’s not the end of the world. You can always transfer. But it would be nice to get it right the first time ‘round. Click here to learn what NOT TO DO when choosing a college. IMHO, the best and most effective way to make a list of potential schools to which you will apply is to seek counsel from an expert like myself who can ask you the right questions, someone who has a broad knowledge of what’s out there, someone who can give you a clear sense of the “flavor” of the place and whether it would be a good fit for you. As for choosing which college you should choose to attend (once you get in, of course), there’s no replacement for going to visit and seeing for yourself! This is one of the most exciting aspects of my job! If you’re an 11th grader, the time is NOW to make your college list. And you’re in luck because I’m enrolling 11th graders now for the 2019-2020 academic year! Ready to Book an Initial Consultation? Let’s Discuss Your Needs and Desires. Get Started on the Exciting Road to College! If you didn’t have a chance to submit your essays to Best College Essays 2020 by the deadline, you’re in luck! Because we received so many submissions, we’ve decided to extend the deadline to tax day — April 15, 2020. You Already Wrote It! Why Not Submit It? Click here to submit to Best College Essays 2020. ACT vs SAT: Which Test is Right for You? Your scores on the ACT or SAT are important. But first you must figure out which test is best for you. Many hours of hard work, sweat and tears, anxiety and anticipation. This is what preparation for the standardized tests involves. A lot of grit, time and energy. Your scores on the ACT or SAT are important. I would not say they are the single, deciding factor in your admission (or rejection) from the school of your dreams — and in fact, there is a growing list of test optional schools out there if you’re not a strong test taker and standardized testing is just not for you. I have gotten students into American University, GW, UChicago, Brown whose ACT or SAT scores were not as stellar as their grades. The ACT and SAT tests serve as a baseline indicator. In the vast field of criteria for college admission, these tests are one, often important, means of comparison. Does it matter whether you take the ACT or SAT? Most schools accept both and treat both scores equally. Though the value placed on them is equal, the tests are not the same. In most cases, students score higher on one test rather than the other. It is a matter of personal preference in the end. But how do you figure out which test suits you best? While the ACT and SAT share similarities, their differences are significant. Extremely strong test takers can succeed on both. But who would want to prepare for two grueling tests if only one score is needed? I don’t recommend it! I would, instead, figure out which test is best and stick with it. I would also start preparing early (end of sophomore year) and get excellent, pointed, one on one help in doing so. 80% of all the students I get into the school of their dreams also came to me for ACT and SAT preparation help. My reputation for getting SAT scores up 150-300 points is well known. I’m not just a college essay writing guru! I’m also a master at pinpointing exactly what each individual student needs to radically improve their scores. I am also well known for getting high scores higher! Many students come to me with scores of 680-710 on their SAT’s or 29-31 on their ACT’s and need to bump these scores up to get into the school of their dreams. ACT and SAT preparation takes a special kind of help. It takes someone (like yours truly) who can identify exactly where the gaps in knowledge lie, or where the test-taking strategies fail. It takes someone who can tailor a completely individualized plan of action for targeting the areas of weakness and getting those scores up to the highest they can be. I once had a student come to me with SAT scores of 720/740. She asked if I could help her get her scores up. “Of course,” I said. And I did! In eight weeks of dedicated preparation, she ended up with scores of 780/800 and got into Stanford! Later I told this story at a conference for college admissions nerds like myself. An esteemed colleague told me the chances of getting those kind of high scores higher were about 3%! All I can say is, look at the bumblebee! How do those skimpy, transparent little wings get that fat, furry body off the ground? It defies the laws of aerodynamics! And yet, it happens. Over and over again. Click here for more information on how I can help you get those ACT or SAT scores higher. Before you spend energy preparing, you need to know which test to focus on. Not all students learn the same way and have the same strengths. It’s important to figure out which test plays to your strengths, which is easier for you, and on which test can you best succeed. It should also be noted that certain states require that you take the SAT in school as a matter of course, and some require that you take the ACT. This does not necessarily mean you will be better at the test your state requires. It may, in fact, be the opposite. But you will have a baseline score to use as a means of comparison. And theoretically, at least, you will have been prepared in school for the test they require. You can go to this website for more information about statewide standardized testing. Both tests also have an (optional) essay which many colleges require. The essay requirements for the SAT and ACT are quite different. That is a much more involved subject which we will cover later on. As you can see, the SAT does not have a Science section at all! It should be noted, however, that the ACT Science is more like a specialized reading comprehension section. My strongest readers, even those who are not super strong in science, do well on this section. If you’re someone who reads well, you will probably find the ACT Science section not that difficult. Really the only difference between the reading passages and the science passages is that there are more detailed, science-oriented charts and graphs which you need to interpret in the Science section. The Science section is the hardest one to prepare for. Each passage introduces a new and unique topic, and while you don’t necessarily need an interest or background in science to answer these questions, it sure does help. Now let’s get down to some specific differences between the actual questions and styles of each test. Are you Stronger in Geometry and Trigonometry or Algebra? Both the ACT and the SAT will test your skills in Algebra, but the ACT will also test you on logarithms, graphs of trig functions, and matrices, which don’t appear at all on the SAT’s. Also, the SAT provides MATH FORMULAS. If you’re not good at memorizing them, these can come in handy. However, on the SAT No Calculator section, you will not be able to use a calculator. This can be difficult for students who cannot do mental math. Am I good at memorizing formulas? Can I do multiplication, division, addition and subtraction in my head? Am I stronger in Geometry or Algebra? Can I answer questions about matrices and logarithms? Now let’s talk about reading. Can You Remember the Location of Details in Reading Passages? Do you find it easy to remember where you saw a certain detail in the reading passages? The SAT reading section provides more information and “clues” than the ACT reading section. In fact, the SAT test offers exact line locations of the evidence to support your answers. If you find it difficult to remember where you read a certain detail, you will find the ACT more difficult. Finding where the evidence resides can be stressful and time-consuming, especially when under time pressure. How about the differences in the Writing Sections? Both the SAT and the ACT Writing/English sections have passage-based questions, but the ACT has more questions involving errors in grammar, punctuation and sentence structure. This section also includes questions about main idea and order of ideas. On the other hand, the SAT focuses more on questions about writing style. The SAT also asks you to answer questions about vocabulary in context, tone and voice, and logical reasoning. The two Writing sections are very similar. There really is no remarkable difference between the two other than what I have indicated above. To get help figuring out which test is best for you or if you are ready to raise your SAT scores 180-300 points or your ACT score 4-5 points, you’ve come to the right place! I am an expert in helping kids get high scores higher and figuring out how to determine and ace the test for them. Get started now! Which Test is Better for You? ACT or SAT? The secret to success is staring early. Spring is the time to spring into action. So, you are a parent of a sophomore or junior, or even a freshman who will soon be rounding the corner to the next grade. Somewhere in the back of your mind, you know you need to get on the right path to college — you know there are things you need to do — but you’re just not sure what that path is or where to begin. Often parents come to me confused. They have a sense extracurricular activities are important, but how do you gauge which ones will count? And what about summer activities? Is it too late to apply for summer programs? What should you do about that? When I meet with a family for the first time, I lay out all the important steps along the way. I take a good look at where the student is at the moment — grades, course selection, extracurricular activities, test scores — and figure out where to go from here. This is where the pedal meets the metal, as they say! Good preparation involves starting early, but there is still much to do in senior year. And the summer before senior year is key. Come fall, the deadlines for college applications are looming. Here is a list of the services we provide our seniors and rising seniors. Early Decision? Early Action? How do you Decide? Difficult Choices? We can help you make the right one for you. Waitlisted? Now what? Follow up. Let’s face it, the college application process has gotten very complicated. Even a simple decision such as whether to take the SAT’s or ACT’s is very important. Stay tuned for an information-filled post on this very subject. But how do you know which test to take? The SAT’s at least have a precursor — the PSATs! These “practice” SAT’s will give you an idea of how you might score on the real test. But what about the ACT’s? Most schools don’t give practice ACT’s and yet for about 40% of my students, the ACT is the test of choice. Right now at New Vision Learning, we are completing mock interviews, and believe it or not, starting work on the College Essays! February is the time to get revved up for spring break interviews (if you’re lucky enough to be able to schedule them when you visit schools during spring break). March is the time to begin college essays. Most of my students apply to many schools with Early Action Deadlines. These deadlines can be as early as October 15. October 15 may seem like a long way away, but remember, there are finals up ahead and essays cannot be written in one day. In fact, the best essays — like a good wine — take a lot of marinating to come to full fruition. So don’t fall behind. I would be happy to help you figure out where you are now and what you need to do to get on the right path. Spring ahead and start now on the path to your dreams! I’d love to tell you about my method outlined in The Art of The College Essay that has made me so successful and has gotten my students into the schools of their dreams. Sitting on the other side of the table in college admissions, I read tens of thousands of boring essays! In fact, it was the most boring job I ever had! Let me tell you, unless this student had glaring red flags, it was almost impossible to say no. Why are almost all college admissions essays boring? Because students are using principles they learned in writing 5-paragraph essays to write their college essays. But remember, the college essay(s) is a narrative personal statement, not a 5-paragraph analytical essay! The problem lies in one particular element: Teachers often confuse (and conflate) product and process. Product is what you want to end up with. Process is how you get there. Since you want to end up with an intro, body and conclusion, it makes sense to start with an intro, right? After all, the intro comes at the beginning. 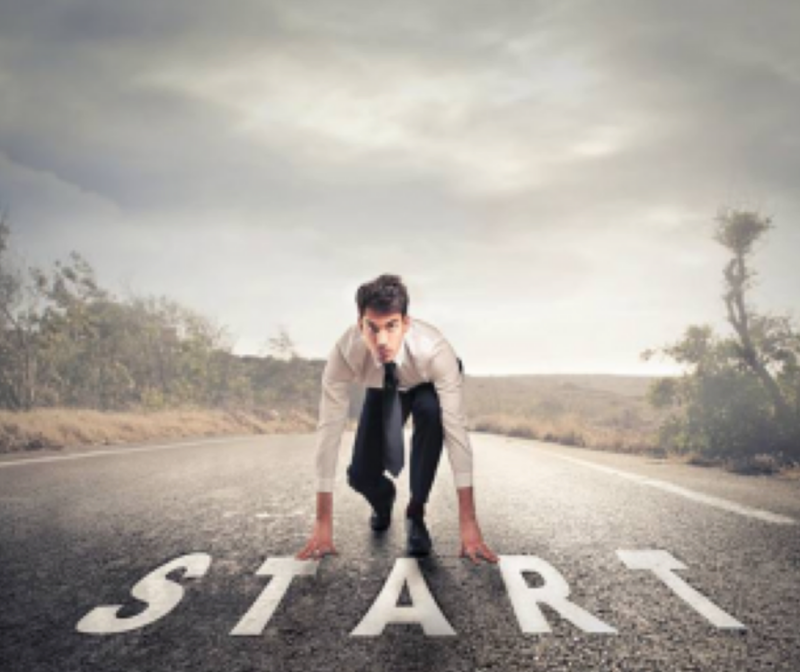 Why not just start from the beginning? Personally, I could never introduce a topic until I know what I want to say about it. I start in the middle – en medias res – and write the intro last. Instead of starting with an intro, I write write write on the topic and then read what I’ve written to figure out what I’m trying to say. I call this experience of write write write Free Writing – and it is at the very core of my method. You need to get lost in order to get found. This is what I’m known for and what distinguishes my method from all the others out there! My goal is to FREE students from the chains that bind them. I get them to write their hearts out in the anxiety-free zone of the FREE WRITE where they don’t need to worry about grammar, punctuation, or even order of ideas. This method takes the stress out of the process and adds in the success. It’s much easier to go back and excavate – cut and paste – than it is to generate ideas in the first place, so the idea is to generate ideas in the worry-free zone and then engage the more “critical” part of the brain to order them, edit and proofread them. If you try to edit while you’re writing, or even try to figure out what you’re trying to say while you’re saying it, you’re sure to run into . . . that which shall not be named! And that’s a nightmare, as we all know. I outline this method in my book The Art of the College Essay in a way that’s lighthearted, clear and easy to use. I had a blast writing this book and it has helped tens of thousands of students write the best (and most important) essays they have ever written in their lives. I used the method I describe in the book to write the book! I know it works. And I’m always so excited when I can pass it on to others – to students writing their college essays, and to the teachers, counselors and parents who help them along the way! It’s January. Summer is on the Way! Now is the time to be looking into programs for the summer. In fact, some of these deadlines have already passed! Just as the trees look dormant, as though nothing is happening to them, so too with the winter application season. But don’t be deceived! Now is the time to be looking into programs for the summer. In fact, some of these deadlines have already passed! I recently helped students with applications to Stanford Summer Institute and to a very exciting program at RPI. I always think of summers as divided in two. Even if the two sides are uneven, it’s a good way to think about how to divide your time. Two weeks in Mexico with your family. Four weeks studying astrophysics at NASA. And realistically, there are at least six opportunities for fun, enrichment, service, travel, study, immersion, exploration, initiative in the summers between freshman and sophomore year, sophomore and junior year and then between junior and senior year. Summer is a time when you can do what you don’t have time for during the year. It’s a time to spread out, loaf and invite your soul, and also a time to squeeze in an important activity that is exciting to you and would show demonstrated interest in a potential field of study. You can always do research on your own. Google “pre-college programs” in Creative Writing, Chemistry, Materials Science, BioTech and you will get a whole wealth of information. Look at the location. See what the program has to offer. Does it match your goals and interests? How long is it? Where is it? What activities or courses of study does it offer? Is it “for credit” or not? Is it at a school to which you might want to apply? Here is a list that shows the variety of programs available — everything from Peace Corps and Habitat for Humanity for Teens to Study Abroad and Pre-College Programs. These are just a few sample ideas. There are literally hundreds of programs that are enriching, exciting, and educational for teens. I am not endorsing any of these programs, per se. I just want to give you an idea of just how much is out there. Summer Discovery offers a wide variety of summer programs for high school students to fit your specific interests and summer goals. We offer over 300 different courses, including: Business, Medicine, Law, Entrepreneurship, Psychology, Theater, Art, Sports Broadcasting, STEM, Political Science, and many more! Summer Programs Have Applications. Applications Have Essays. Essays are the Golden Key. For information on writing those all-important essays, feel free to contact me to see how I can help. The next step, of course, is to take a look at the application. Often recommendations are needed. And almost always you must write application essays. That’s one of my specialties! In fact, I have very near 100% acceptance into summer programs. This is an exciting journey in and of itself. And that’s only one of the many ways in which you can spend the dog days of summer. You can also create an app, go to all the museums in your city, start a dog walking business and begin to explore your interests more deeply and more fully without the burden of homework and tests. Summer is a wonderland. Start taking steps now to make it great! Most people come to me with a nagging sense that there are things they need to do to help their kids get into college. They just don’t quite know what those things are. The fact is, the college process has gotten very complicated. It’s not like it was when we applied to college! Now there are three types of applications — the Common App, the Coalition App, the Universal App! Would it be better to take the SAT or the ACT? What about SAT 2s? Summer programs? Internships? Extracurriculars? And the college essays, of which there can be up to 25! What’s a parent to do? That’s where New Vision Learning comes in. It’s important to get a roadmap for this journey — to find out what needs to be done when. And to start early! I’m already almost booked for January and February is beginning to fill up fast. The First Step is Always a Conversation. Don’t wait to book an INITIAL Consultation. By the end of this session, you will have a very clear idea of everything you need to know between now and the finish line. You will know exactly what to do when to optimize the chances your son or daughter will get into the college of his or her dreams. When you leave this session, you will have a roadmap to help you navigate what has become a very complicated college process. And don’t forget: The first official SAT test date in 2019 is March 9. The ACT will be given on February 9. That’s only days away! If you haven’t already started preparing, start now.